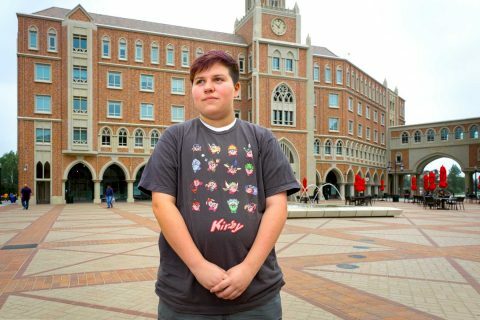 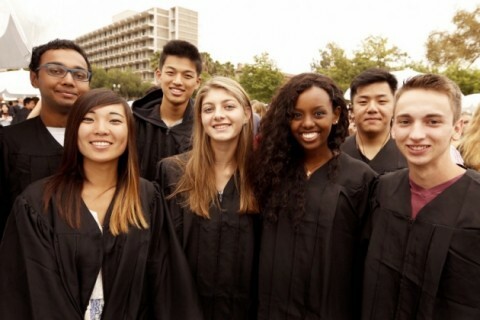 USC is increasing resources for students in their family’s first generation to attend college, including support with academic planning and making social connections. 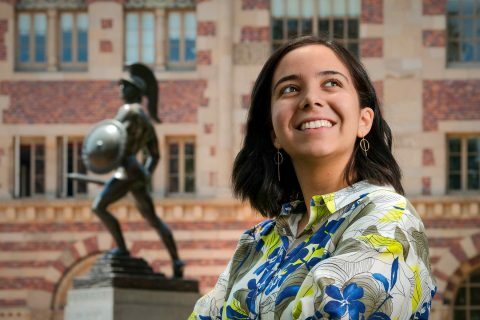 Born in Boston but raised largely in Damascus, the new freshman has big ideas — and a special calling based on what she’s seen firsthand. 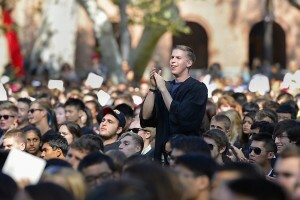 Innovative methods help spring admits find their peer group and feel the embrace of the university before classes begin. 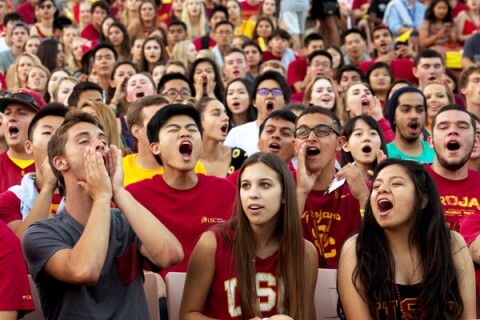 The Class of 2019 is USC’s most select group of freshmen. 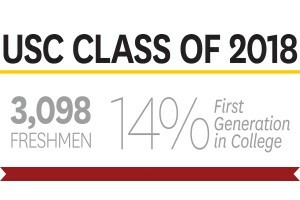 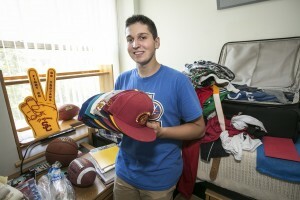 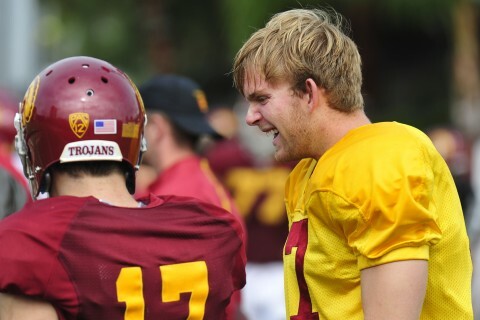 They come from 53 countries and nearly every state, with 17 percent hailing from the East Coast — the highest percentage in USC history. 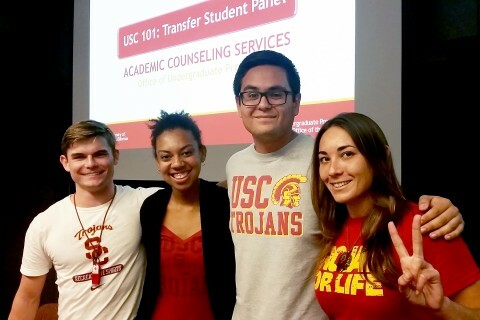 New initiatives launched by Academic Counseling Services and Undergraduate Student Government help the transfers find their niche. 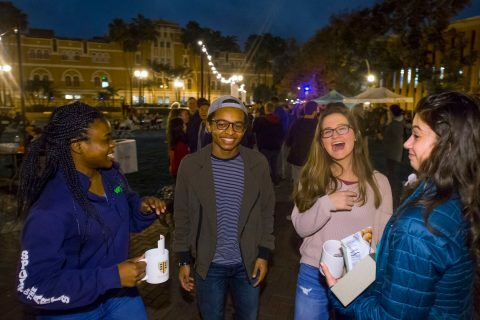 The engaging events are a golden opportunity to make new friends and hang out before hitting the books. 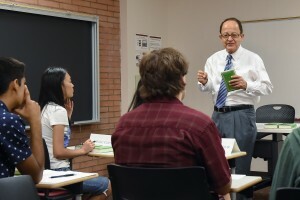 Playwright, professor and surrogate father Oliver Mayer oversees hundreds of students year-round with his wife. 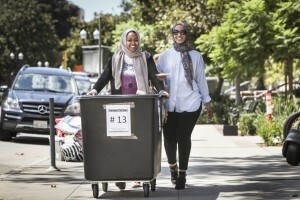 It’s a job that requires care, openness and generosity. 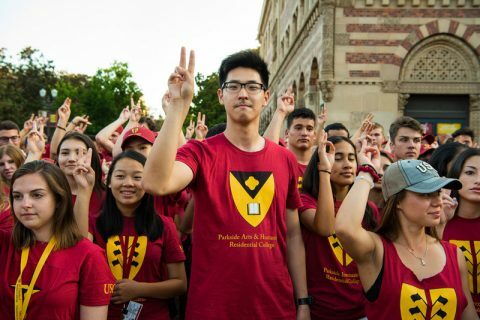 These freshmen are united by one love: the cardinal and gold. 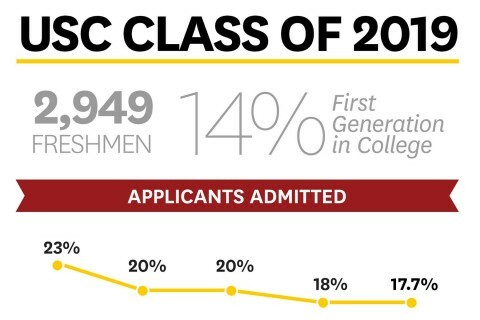 Learn more about ’em in our infographic. 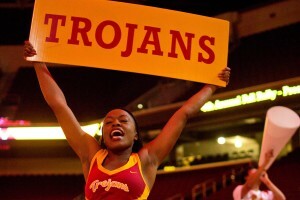 The Song Girls, Spirit Leaders and marching band build a bond between students and athletes. 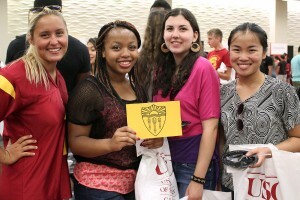 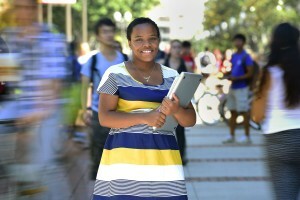 From convocation to orientation and much more, USC freshmen enjoy their first week on campus. 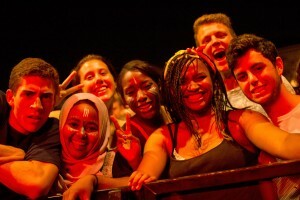 Top faculty take part in Welcome Week seminars on law, sports, physics and even zombies. 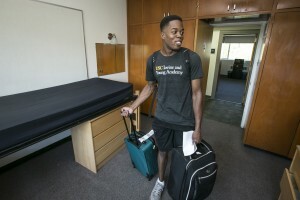 College greets nearly 1,200 freshmen during Welcome Week.